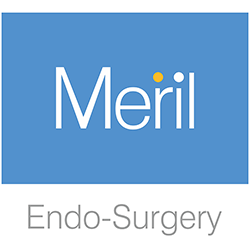 Meril is a global medical device company dedicated towards design and development of novel, clinically relevant, state-of-the-art and best-in-class devices to alleviate human suffering and improve the Quality of Life, spanning broad operational canvas from vascular interventional devices to orthopedics, in-vitro diagnostics and endo-surgery. We share an enduring commitment to advance healthcare solutions, so more patients live longer, healthier lives. We thus have a strong commitment towards R & D and adherence to best quality standards in Manufacturing, Scientific Communication and Distribution known today. Established in 2006, Meril was launched in line with the health-care diversification plan of Bilakhia Group. Located 150kms north of Mumbai at Vapi, ensconced within the serene hill-sides of Chala town, Meril sits proud in its ultra modern manufacturing facilities. Situated within 180 acres of land and built over 300,000 Sq. ft. area, Meril’s ISO 13485 & cGMP certified ultra-modern manufacturing facility constructed for Cardiovascular, Orthopedics, Diagnostics and Endo-Surgery along with a strong R & D foundry. Unique and completely integrated manufacturing system ensures backward integration, flawless man-material movement, complete control over processes and strong validation process to eliminate any production errors. All processes are conducted in-house for manufacturing along with sterilization, analytical and microbiological QA/QC tests. Meril’s 1400 personnel strong experienced team comprises of – Designers, Engineers, Chemists, Microbiologists, Regulatory Affair experts, R&D Scientists, Clinical Affair experts, Legal, Admin and Finance, Sales and Marketing persons with innovative capabilities are continuously striving towards improving and saving lives every day by providing revolutionary solutions for diagnosis, prevention and treatments. A larger role also lies in educating and imparting practical training to the doctors, clinicians and other members of the medical fraternity to bridge the gap between technology and actual implementations. To add value, We are coming up with Meril Academy that will soon be realized in form of a world-class institution that is taking shape at the Meril Headquarters, Vapi, spread over a massive area of 200,000 Sq Ft, surrounded with lush green natural beauty..
Meril runs on , integrating all processes from raw material vendors to end user hospitals thereby ensuring full transparency and 100% product traceability. Currently Meril has direct sales & representatives offices in India, Germany, Turkey, USA, China and Brazil and strong distribution model spread over 102 countries across continents. When science is provided by every manufacturer, what more we master – is the art of making it.